Join us in celebrating the holidays and KAPA’s 2012 achievements at our Annual Membership Meeting. We’ll be having a casual dinner and meeting with fellow members, activists, and friends. Joining us are special guests – and newly-elected representatives – Congress member-elect Grace Meng, State Assembly member-elect Ron Kim, and State Assembly member-elect Nily Rozic. 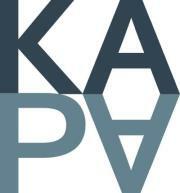 will receive a complimentary one-year KAPA membership. The event is free and open to both KAPA members and non-members. We will also hold a holiday raffle – please arrive promptly to get your free raffle tickets! For building security reasons, RSVP is required – please fill out the RSVP form. No user commented in " KAPA’s Annual Membership Meeting & Dinner "